After suffering a workplace injury, you should seek out immediate medical care and inform your employer in writing of your status. The employer is required to notify its insurance carrier, which processes the claim and decides whether to accept or deny benefits. The employer is supposed to display the name and contact information of its workers' compensation insurance carrier. Although you have up to four years after becoming aware of the connection between a medical condition and your employment to file a claim, you should notify your employer and consult a Boston incapacitation period lawyer as soon as possible. The workers’ compensation attorneys at Pulgini & Norton are ready to assist you. If you need medical treatment after getting hurt or becoming ill on the job, and you have provided notification to your employer, it is required to inform its workers' compensation insurance carrier. The insurer is supposed to issue you an insurance card that includes a claim number, and this is given to your doctor so that any medical bills are sent directly to the insurer. It is important to inform your medical provider that you are seeking treatment for an injury or illness that is job-related. The employer only needs to report your incapacity to its insurer on an Employer's First Report of Injury/Fatality Form (Form 101) if you have met the required period of incapacitation. The required period is five or more calendar days of disability in which you are unable to earn your full wages. These days do not have to be consecutive, and they count even if you are only partially disabled on some or all of the days. Within seven days of your fifth day of incapacity, your employer is required to provide a report to the insurer. These seven days do not include Sundays or legal holidays. 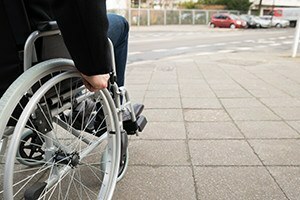 What if you have already been partially or fully disabled for five or more days? Your employer is only required to file a Form 101 with the insurer within seven days of your report of the injury. Only if the employer fails to send the appropriate form to the insurer should you report the injury to the employer's insurer yourself. If an employer is uncooperative or does not provide the insurer’s contact information, the Department of Industrial Accidents (DIA) may be able to help you figure out where to send the requisite notice. The DIA administers the workers' compensation system in Massachusetts. Within 14 days of receiving a copy of Form 101, the insurer is required to pay you lost wages or send you a denial notice. If the timeline is followed properly, an injured worker should start receiving workers' compensation checks within three to four weeks after the date of the injury. The first five days that constitute the required period of incapacity are not compensated, however, unless you suffer from a disability for 21 or more days. If you are injured or rendered ill in the workplace, you should notify your employer as soon as possible. It will only start the workers' compensation process after the required period of incapacitation, but notifying the employer right away can help ensure that you stay on the right timeline for your receipt of benefits. The Boston workers’ compensation attorneys at Pulgini & Norton advise injured individuals throughout the region, including in Somerville, Braintree, and Andover. Call our workplace accident lawyers at 781-843-2200 or contact us via our online form for a free consultation.